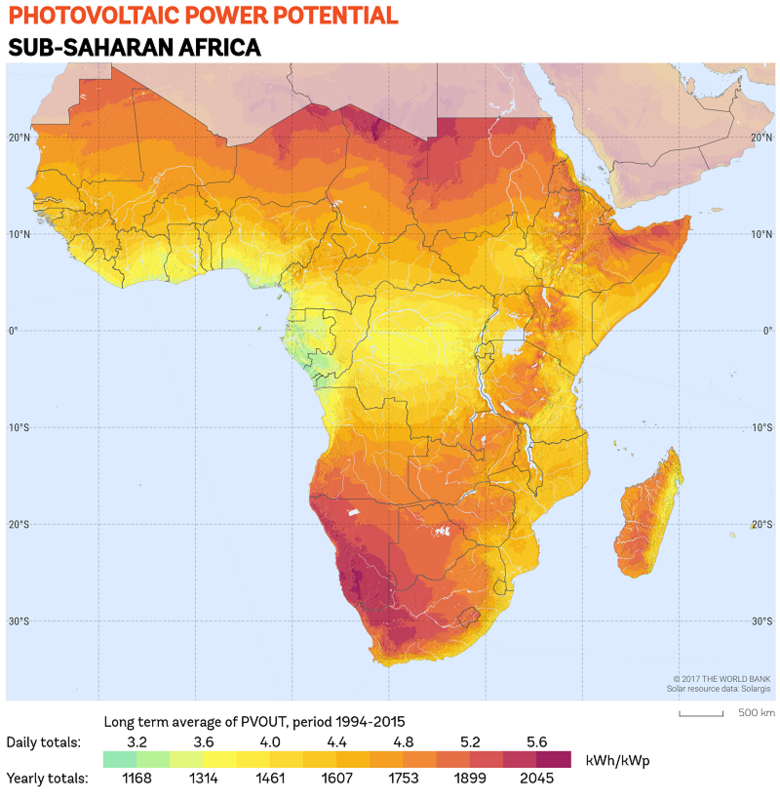 The solar power potential of Sub-Saharan Africa is enormous. The solar irradiation levels of many countries rank among the world's highest. At the same time (rural) electrification levels are low and grid power is often unreliable. Combining this with the continuing decline in prices of PV modules and batteries one would expect this area to have some of the highest penetration of solar electricity production in the world. Unfortunately the opposite is true. There are many great initiatives in the respective countries in Sub-Saharan Africa, however, when accumulated the installed capacity of solar-PV does not come close to 1% of globally installed capacity. Key factors for this relatively slow progress are the difficulties associated with doing business in many African countries, a lack of access to finance, and a lack of qualified employees. More specific information about the solar sector in Tanzania? Visit the SmartSolar Tanzania website! More specific information about the solar sector in Ghana? Visit the SmartSolar Ghana website! More specific information about the solar sector in Zambia? Visit the SmartSolar Zambia website!